Using Your Body Wisdom for Health and Healing! 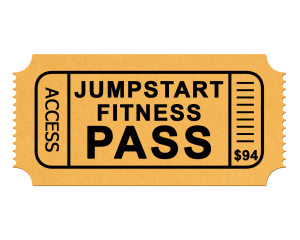 Body Wise Power-Pack Now On Your Jumpstart Fitness Pass Below. About Dr. Rachel Carlton Abrams: Dr. Rachel is a family practice and integrative medicine physician and just released her fourth book, Bodywise: Discovering Your Body’s Intelligence for Lifelong Health and Healing. She runs the award-winning Santa Cruz Integrative Medicine Clinic and has been voted “Best Doctor” in Santa Cruz County every year, from 2009-2017.